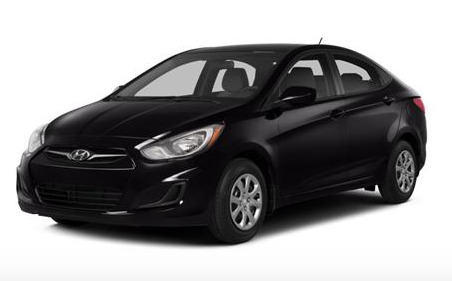 If you are looking for a used Hyundai Accent in Scarborough, Ontario, Toronto and surrounding area, the Scarboro Kia sales team will be able to satisfy your needs. Scarboro Kia always has a great selection of pre-owned Hyundai Accent in stock and add to the vehicle inventory daily. At Scarboro Kia we proudly sell and service used Hyundai Accent to customers from Scarborough, Ontario, Toronto, North York, Markham, Pickering, Ajax, Vaughan, Etobicoke, Richmond Hill and the GTA. The Hyundai Accent sedan and hatchback are exceptional economy cars that offer attractive looks and outstanding value in a price-sensitive market segment. The Accent is available in several trims: GS or SE on the hatchback and GLS on the four-door sedan. A 138-hp 1.6-liter double overhead-cam engine sends power to the front wheels. A six-speed manual transmission is standard; a six-speed automatic transmission is optional. The environmentally friendly Accent has an Ultra-Low Emission Vehicle rating. Standard safety features include front seatbelt pre-tensioners and six airbags (front, seat-mounted side-impact, and side-curtain) on all models. For 2014, all trims are now equipped with a driver's side exterior spotter mirror. A telescoping steering wheel and projector style headlights are now available (standard on SE). Source: Chrome Data.